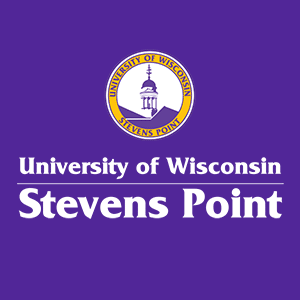 The Cupboard is a food pantry open to any current UWSP student who needs emergency or supplemental food. Thousands of students receive need-based financial aid and hundreds are enrolled in food assistance and WIC programs. Many more students encounter short-term financial emergencies and find themselves choosing between buying food and paying other bills. The Cupboard was created to help students meet their basic needs so that they can focus on succeeding in school. Any current student can utilize the pantry! 1. Visit the Cupboard During Walk In Hours. We are located on the lower level of the Dreyfus University Center in room 061. Hours vary each semester based on volunteer staff availability. Check out our SPIN page for current times, or submit an online request. the last Wednesday of regular classes each semester. We accept online orders anytime, including during finals week and all summer. 2. Fill Out an Online Request Form. Can’t make it during open hours or would prefer to not come to The Cupboard? No problem! Fill out this request form. Volunteers will pack a box of groceries based on your preferences and leave it for you at the front desk of Campus Activities & Student Engagement on the lower level of the DUC. You will receive an email when your package is ready for pick up. You will be asked to read and sign a liability waiver for the food received. You will NOT be asked to provide any financial information. We will not share your information with anyone, including Financial Aid. The Cupboard's inventory is collected through donations, partnerships, and shopping as needed. We will do our best to provide you with a variety of protein, fruit, vegetable, and grain items. We also provide perishable items to promote well balanced meals. Perishable items are only available by visiting The Cupboard, not through online orders. Toiletries are often available but items vary. We will ask that you visit The Cupboard no more than once per week, but we will never turn someone away who needs assistance. All volunteers are screened through an application process, attend a volunteer orientation and sign a confidentiality and code of ethics agreement. The Cupboard offers a variety of toiletry products for clients to take. A volunteer and friend model signing a liability waiver.